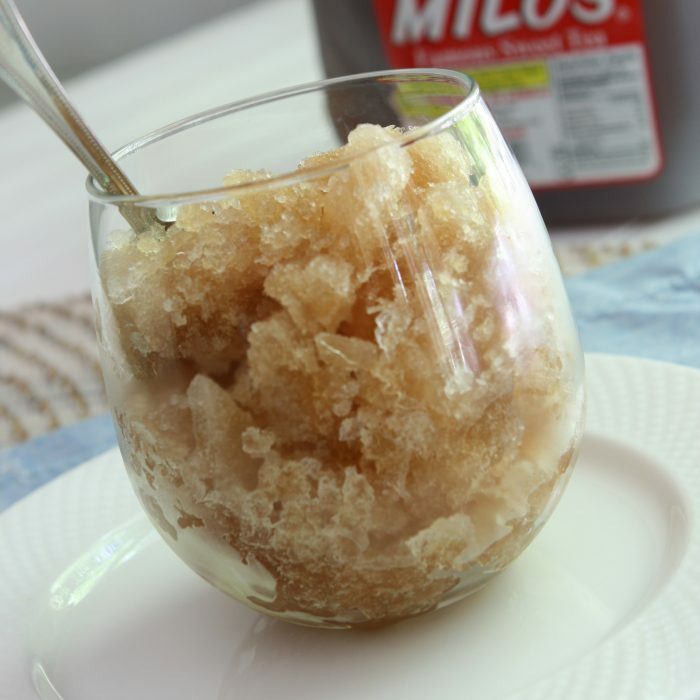 Milo’s Sweet Tea or Milo’s Lemonade Granita - Milo's Tea Company, Inc.
Pour tea mixture into an 8x8-inch glass or ceramic baking dish. 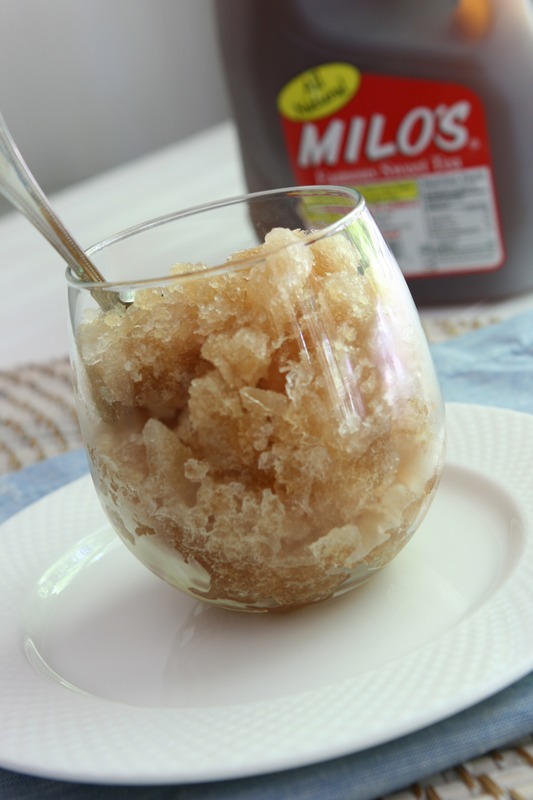 Cover and freeze until partially frozen (about 1 hour). Scrape with a fork, crushing any lumps. Freeze, scraping with a fork every 30 minutes, 1 hour or until frozen.